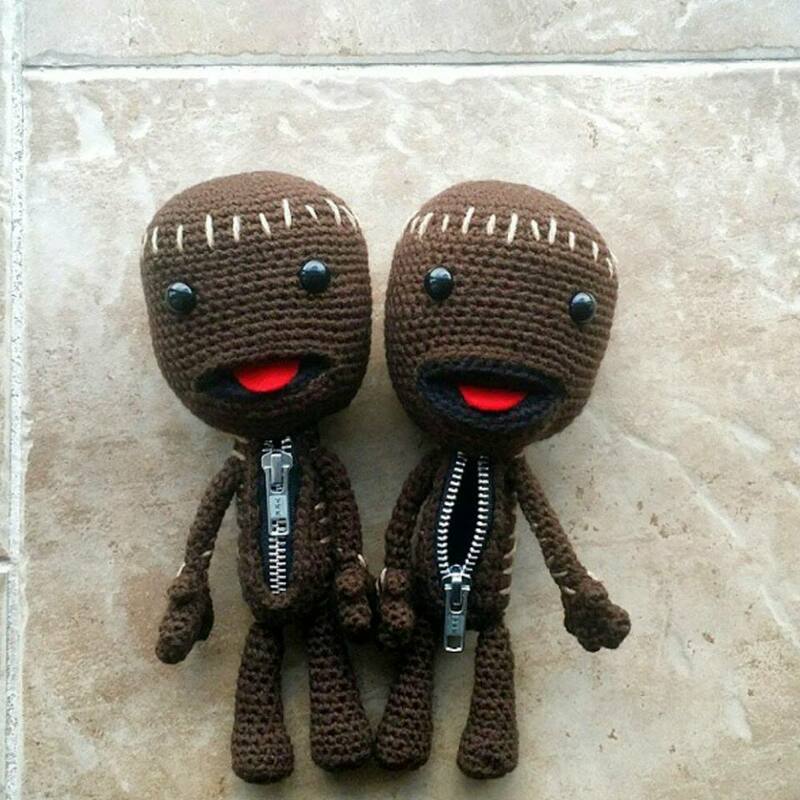 Now place your Sackboy's head aside. You are going to create the inner mouth, then you will come back and finish the head in a little bit. Fold the inner mouth piece that you just created (the black portion) in half and sew a seam along the folded line. 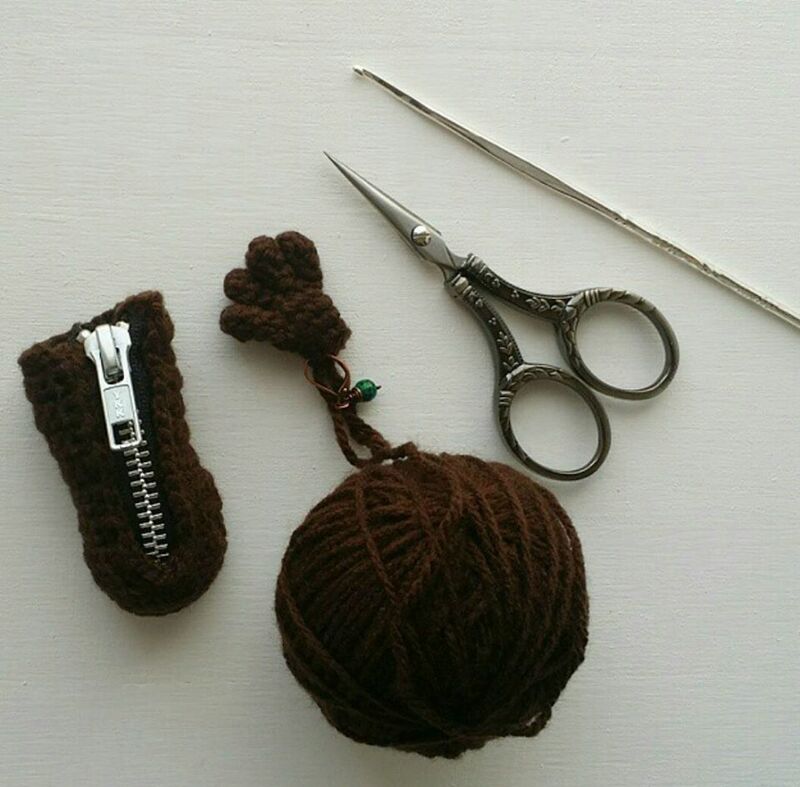 Place the inner mouth piece into the mouth of your Sackboy with the folded seam at the back, and sew it onto the lips of your Sackboy. If you haven't placed the eyes yet, insert the safety eyes now. Stuff the head firmly as you work from this point on. 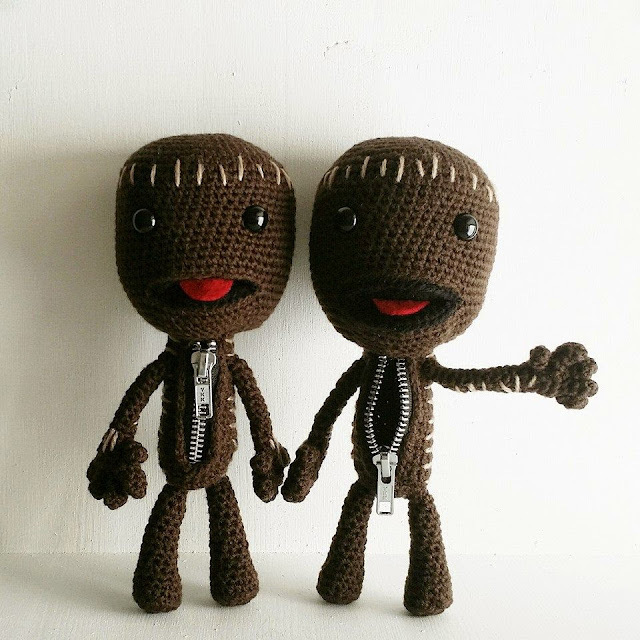 Place the zipper in your Sackboy's belly where you will be sewing it in place, and trim it if needed, then sew the zipper in place. Sew on the arms and legs onto the body. Sew the body onto the head of your Sackboy. Cut a little tongue from red felt, and hot glue gun in place. 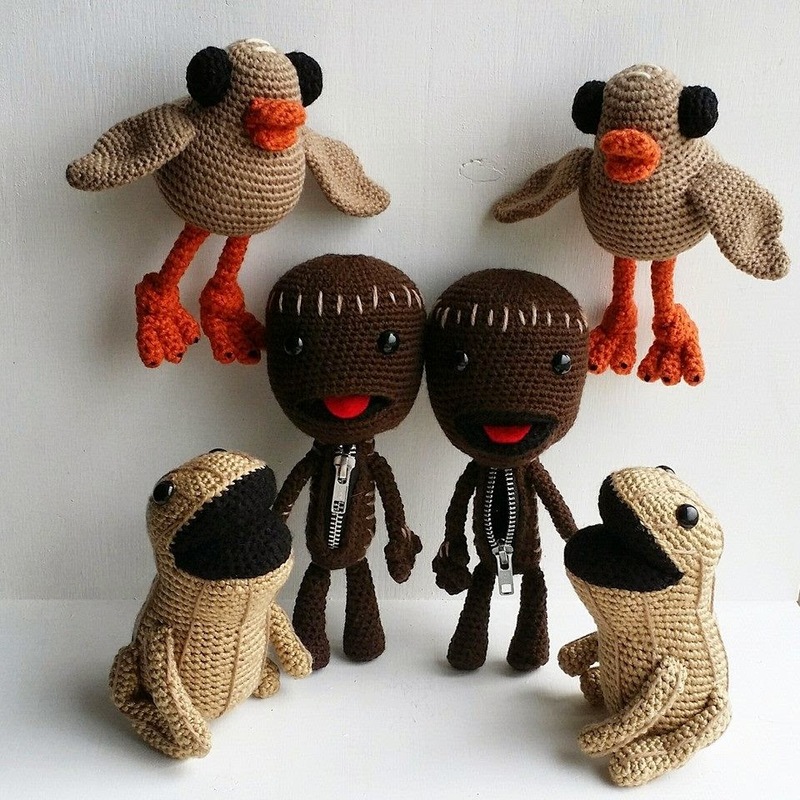 With light tan yarn sew on little stitch marks on your Sackboy's head, body and arms.